One of the highlights of Christmas is taking the time to sit down and write to all your loved ones, spreading Christmas cheer. Of course, it would be even more fun if you had loads of free time and ideas. This guide can’t give you more time but it can give you ideas. All the tips you need are here, no matter how many cards you are signing. Take these messages and change them to fit your needs, whether you are writing a classic Christmas card or sending out emails. There is a message here for every person on your list. Set the atmosphere. Playing Christmas carols while you write your cards will get you in the holiday spirit and provide you with some much needed inspiration. Shorter is better. It doesn’t take a lot of words to get your point across. Make it a family event. Have your family members help you out. Even the little ones can draw some squiggles on the card which your loved ones will appreciate. Have some treats or Christmas cookies nearby to get them to stay and assist you. Sometimes all you need to say or add to your Christmas card is a simple message sending holiday cheer or offering Christmas wishes. If you want to add a personal touch to your cards, here are some tips that will make sure your message is heard. Wishing someone peace or happiness in the holiday season is the traditional route but you can always personalized your card by thinking about the recipient and what matters to them. Then you can direct your message accordingly. Person has a baby on the way? Moving to a new house? Mention these events in your message. Sending love to the entire family this holiday season. May Christmas fill your heart with all the love and joy it desires. 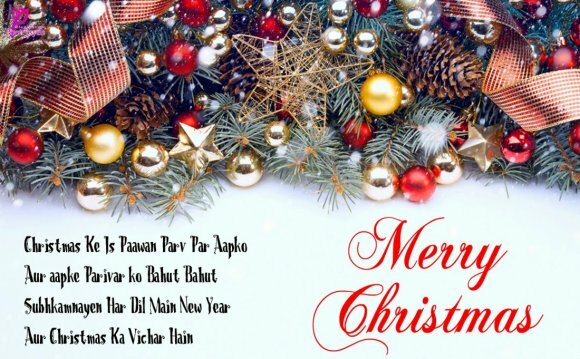 I wish you and your family a wonderful Christmas and festive New Year. Here’s to wishing you and your family the beauty and love of the Christmas season. May warmth fill your home and may blessings fill your life in the upcoming year. As Christmas approaches and brings us joy, I give thanks for having you to share it with. Love and best wishes for Christmas and the New Year. Thinking about you this holiday season and wishing you were here. Hope you have a fabulous Christmas and a fantastic New Year. May Christmas fill your heart with joy, and may the memories you make with family and friends warm your heart always. May this Christmas fill your hearts with warmth, peace and joy! Have a Holy and a Blessed Christmas! One of the most important aspects of Christmas cards is letting people know you are thinking of them during the holiday season. Writing “thinking of you” in your own handwriting definitely lends a personal touch to your card. It allows the focus to be on the recipient. This is especially important when you are sending cards to people that you won’t be able to see during the holiday season. All my love and thoughts are on your during this Christmas season. You are always on my mind, but particular so during the holidays. I’m wishing you were here so we could eat Christmas cookies and drink hot chocolate together. All my thoughts and wishes are with you this holiday season, my friend, just as they are with you all year round. Sending you my thoughts and heartfelt wishes for a wonderful Christmas. May you have a great time. I am so thankful that I have parents that are always willing to help me. The true joy of Christmas celebrations is spending time with friends and family. Thank you for being an important part of that joy for me! Merry Christmas! I am so lucky that you are part of my family. Family and friends mean so much, and the Christmas season offers a chance to express that to others. Thank you for all you do and have a Merry Christmas and Happy New Year! There is something about Christmas that makes people want to reflect on the year gone by. It’s a good idea to use this time of year to let people now just how much they have meant to you throughout the year. Many people love to mark the occasion of first Christmas for a variety of occasions; from first Christmas as a new family to more obscure picks such as first Christmas with a new pet. Think about the events that your recipient has gone through this year and note the positive ones on the card. You’ve been such a good friend to me this year. I wanted to use Christmas as a way to tell you how much you mean to me. Thanks for being there for me this year. You are like a Christmas gift all year round. You can also use your holiday card as an excuse to get-together with friends or plan ahead. I love the holiday season because of the time I get to spend with you. Can’t wait to see you soon. On this holiday, I hope you know how much I value your friendship and how much it has added to my life. I wish you a very merry Christmas and may we enjoy this holiday season and many more years together as friends. The holidays aren’t the holidays until we start spending time together. If religion and faith are important to you, let your friends and family know and include inspiration messages in your Christmas greetings. If you think the recipient is sensitive, then maybe you shouldn’t include religious-toned wishes but most people appreciate hearing about your reason for the season. "Ace of Spades" is a song by the English band Motörhead, released in 1980 as a single and the title track to the album Ace of Spades. The song spent 12 weeks in the United Kingdom Singles Chart, peaking at No. 15.